Yesterday Eric posted a link to a marvelous site called MazeLog, which features numerous puzzles that require a bit more brainpower than the average maze. His post reminded me of a challenging maze puzzle I discovered last year in Ian Stewart’s deeply mathy and thoroughly engrossing book Cows in the Maze: And other mathematical explorations. Basically, you have two starting points, and your first move can determine whether you complete the puzzle or not. All you have to do is follow the instructions, which sounds simple. Believe me, it isn’t. 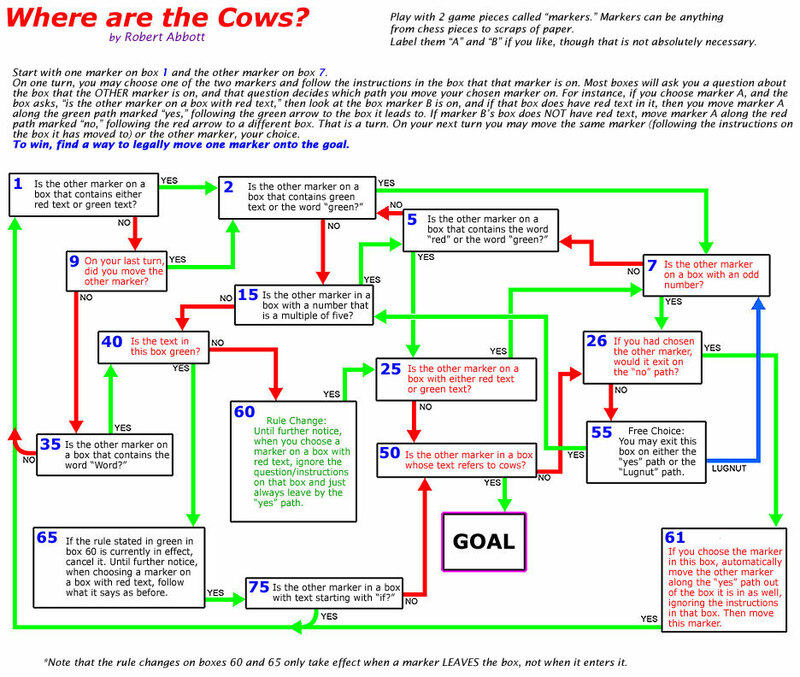 “Where are the Cows?” (or “Cows in the Maze”) is impressive, to say the least, and I think it’s a worthy challenge for any dedicated puzzler. Enjoy! This entry was posted in Puzzles and tagged Mazes, Puzzle to solve, Puzzlin' fool by gmdirect. Bookmark the permalink.